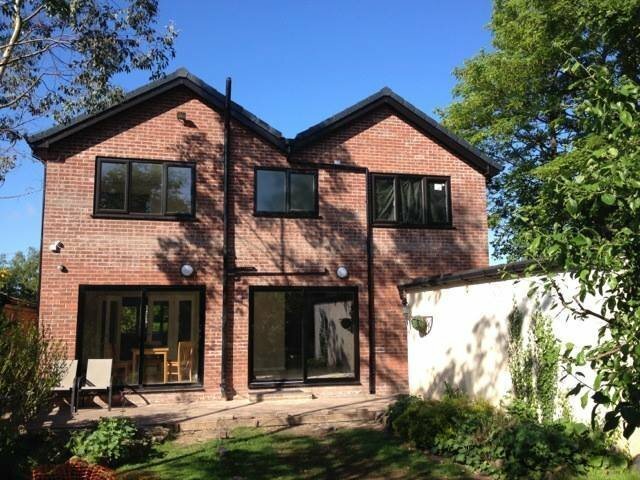 Hende Building is a local building company, based in Cheadle Hulme, Cheshire with over 30 years experience. All our work is undertaken by fully trained and insured “Time Served Craftsmen”. The work we undertake ranges from: Design & Build, Extensions, Loft/Garage Conversions, Refurbishments, Leisure & Commercial, Local Authority. We can offer our clients a full design and build service or we will happily work to your plans. The projects we undertake are fully project managed by us on a daily basis. We pride ourselves on our project management ensuring delivery on time and budget whilst ensuring customer satisfaction. We have undertaken hundreds of projects in the local area and as a recognised provider of a quality service; the majority of our work comes from client recommendation. We are sure you will find our professionalism from start to finish refreshing and honest. Ian and his team have done a truly excellent job on our large extension which has given us a new open plan kitchen/dining room, playroom, bedroom, bathroom, utility room and porch. This was a complex build as there were several problems uncovered in the original house that needed putting right. Ian was extremely helpful and flexible in helping us put this right and his knowledge and experience was invaluable. He has looked after us so well and his team of workmen are so friendly, polite and very tidy. They did everything to ensure the disruption to us was kept to a minimum. The craftsmanship is also of a very high standard. Overall, we couldn't be happier with the end result and would not hesitate to recommend Ian to anyone. We are certainly glad we chose him for our project. The team worked hard to build our extension and we are extremely pleased with the end result. Any queries during the build were dealt with quickly and thoroughly. The large number of different specialists worked cohesively and efficiently together; and all communication was managed effectively by Ian and Naomi. We would highly recommend Hende Building to anyone considering building work. Ian and his team undertook work for us on a kitchen extension between February – June 2015. Ian had come with a recommendation with a neighbour and we were very impressed with the approach throughout the build. In particular, Ian demonstrated creativity in suggesting changes to the original architect’s plans which enhanced the design. He was also sensitive to period architectural detail. Ian communicated effectively and clearly throughout the build and showed good attention to detail. His team were a pleasure to be around. Professional, flexible and polite and completely aware of our struggles in operating around a complex build with a young family. We are very happy with the end product and wholeheartedly recommend Ian and his team. We are so glad to have gone with Hende Building Services Ltd to build our 2 storey extension, Right from day one the Team were efficient and respectful around the property. They were responsive to our short notice alterations and everything went smoothly, would definitely use for future projects. Were very pleased with the work done on our extension by Ian & his team. Work is of a high standard, the team are friendly & helpful & we were always kept up to date with progress. Excellent service. Friendly and always helpful in dealing with unforeseen problems. Employees were polite, clean and helpful to us. Would not hesitate to recommend HBS to friends and family. Very satisfied costumer.